Msgr. Joseph William Tobin, C.SS.R., is appointed Cardinal by Pope Francis on Sunday. The Consistory will be on 19, November, 2016 just before the closing of the Jubilee of Mercy, that would be on 20, November. Msgr. Joseph William Tobin, C.SS.R., was born in Detroit (Michigan), on 3rd May, 1952. He entered the Congregation of the Most Holy Redeemer, made his temporary profession on 5th August, 1972 and perpetual vows on 21st August 1976. In 1975 he obtained a baccalaureate in Philosophy at Holy Redeemer College in Waterford (Wisconsin); in 1977 the Master Degree in Religious education, and in 1979 got the Master Degree in Divinity (Pastoral Theology) at Mount Saint Alphonsus Major Seminary in Esopus (New York). Ordained a priest on 1 June 1978, it has been assistant priest (1979-1984) and then pastor (1984-1990) of Holy Redeemer Parish in Detroit; Episcopal Vicar of the Archdiocese of Detroit (1980-1986); Pastor of Saint Alphonsus Parish in Chicago (1990-1991). In 1991 he was elected General Consultor of the Redemptorist Missionaries and on September 9, 1997 elected as the Superior General. He was confirmed in the post on 26 September 2003. In the same year he became Vice President of the Union of Superiors General. In addition, he has been Member of the Council for Relations between the Congregation for Institutes of Consecrated Life and Societies of Apostolic Life and the International Unions of Superiors and of Superiors General (2001-2009). 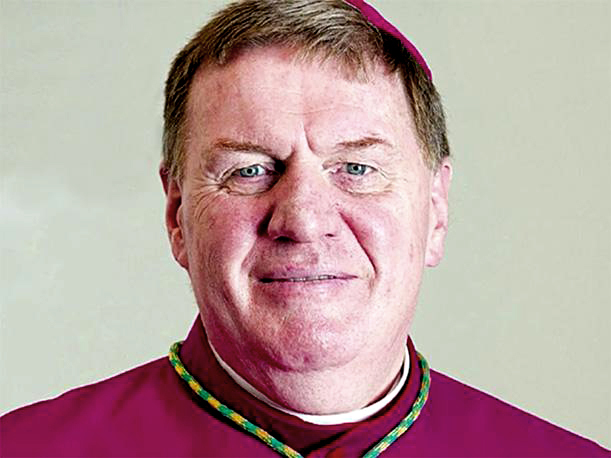 He was appointed the Secretary of the Congregation for Institutes of Consecrated Life and the Societies of Apostolic Life on 2nd August 2010 and elevated at the same time to the titular see of Obba as archbishop, and he received episcopal consecration on 9 October. On 18 October 2012, the Holy Father Benedict XVI named him Archbishop of Indianapolis.